Some days, cooking just isn’t in the cards. But staying low-carb is. So I need to have quick-fix options which can be prepared ahead of time and available at a moment’s notice with very little thought or prep work. This is another option that can be considered a sandwich-substitute for lunch . . . or it would even be great for breakfast or a midnight snack. Chop cold hard boiled eggs to the consistency you like—pieces of about 1/4-inch or less are good—and make sure the yolks are broken up as well. In a medium bowl, combine mayo, mustard, lemon juice, salt, and pepper and stir until well combined. 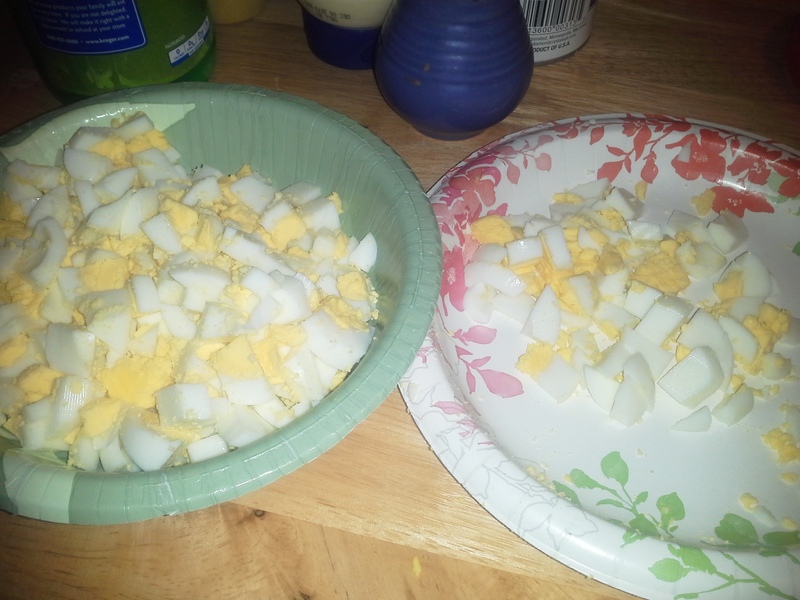 Fold in chopped eggs and stir gently until completely mixed. Refrigerate 15–20 minutes to let flavors meld. 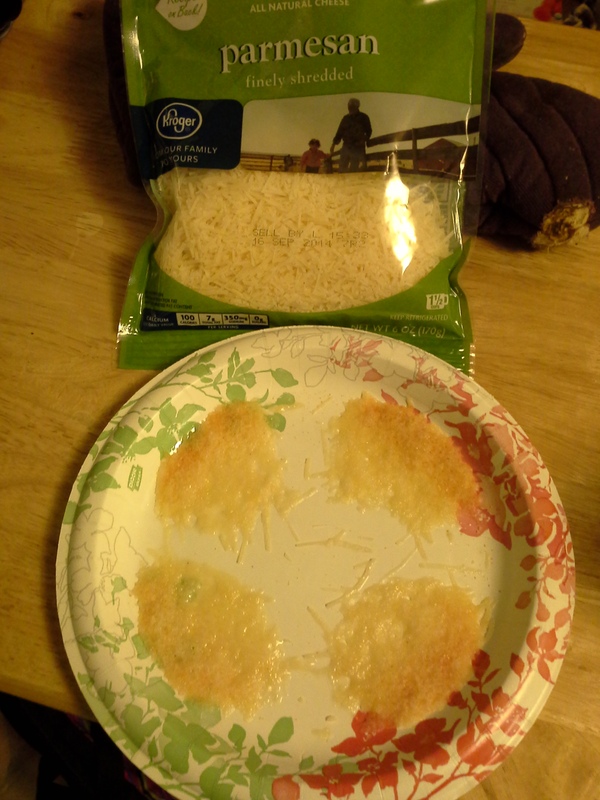 On a regular paper plate, make several small piles around the perimeter or one large pile in the center with the cheese. Microwave for 30-60 seconds, watching carefully to ensure they don’t overcook. You want them golden, not brown and not burned. Remove and let cool (and finish crisping up) completely. Top small crisps with a tablespoon of egg salad for hors d’oeuvres or top large crisp with 1/3 cup of egg salad for a sandwich substitute. 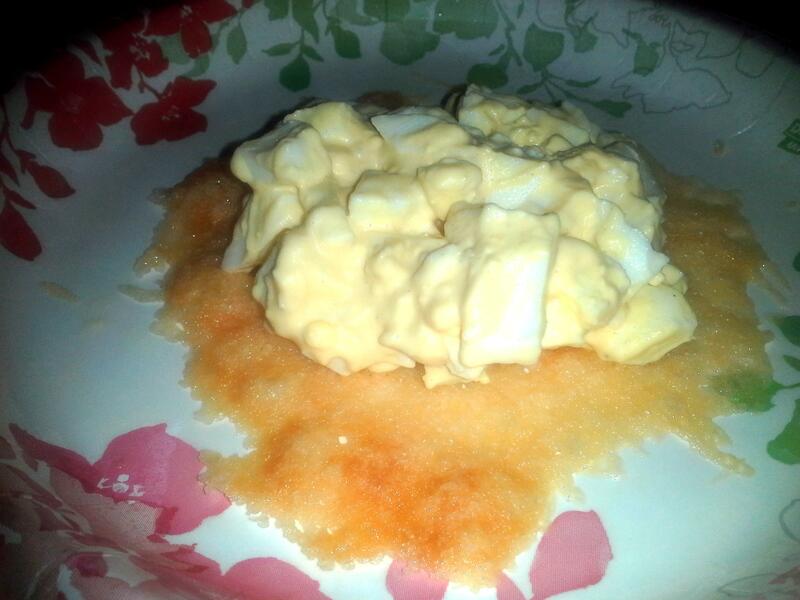 It’s like an egg-salad tostada! If you are going to eat the egg salad with the Parmesan crisps, be sure not to oversalt the egg salad, since the crisps are salty as well.